Isn’t it time for a daycation? It’s summer, and apparently our house didn’t come equipped with a sparkling infinity pool. Rude. To fix this injustice, we like to make our way to one of L.A.’s many lovely hotel pools. Even if you’re not trying to lease a suite, several of the best spots will let you cool down, no room key required. For a dose of retro, mid-century style, slip into the round courtyard pool at the Avalon hotel. You can book a pass from DayAxe, or, we’ve heard, you might be allowed to hang around after a meal at the chic poolside restaurant Viviane. Brunch and pool time? Hello, weekend goals. 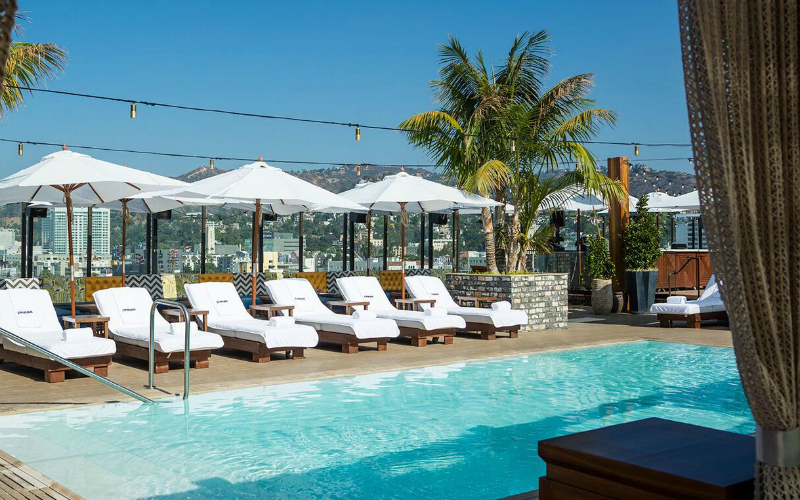 RELATED: The Nine Best Rooftop Bars in L.A.